Magic Mill 3/4HP Electric Grain Grinder. The Jupiter® is lightweight (5 LBS. )., compact (APPROX. The unit grinds quietly and at low temperature, therby preserving all valuable nutrients.". I used it twice. Cool Grind. Compact, Quiet, Easy to Clean. ). 700g Electric Grains Spices Hebals Cereal Dry Food Grinder Mill Grinding Machine Blender. The quick open cover swing type high speed grinder maximum capacity of 700grams. Swing type high-speed herbs grinder principle. Vintage MAGIC MILL STONE GRAIN GRINDER CORN WHEAT Rice Hops Barley 3/4 HP, g244. Condition is Used. Shipped with USPS Priority Mail. This flaker also fits theWonderMix Stand Mixer. - Rolls and Flakes: Oats, wheat, rye, spelt, kamut, millet, Buckwheat groats and Flax Seed. New in box. Separate adapter required for Bosch Universal, Bosch Compact, Bosch Styline, KitchenAid, Ankarsum/Electrolux and Viking (not included). New NutriMill Harvest Stone 450 Watts Grain Mill Flour Grinder Cayenne. Includes FREE Nutrimill Mini & Whole Grain Cookbook. Why mill your own flour, when it's so readily available?. Whole grain flours spoil quickly because the bran has been broken which allows oxygen to reach all parts of the grain. With normal, one-family use, your plates should last 3-4 years. 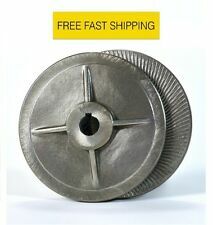 Having a spare set of grinding plates on hand will give you peace of mind. Getreidemühle Duett 200. Die zeitlos und modern schöne Getreidemühle von KoMo vereint mahlen und flocken in einer Mühle! Besonders praktisch, wenn in Ihrem Haushalt glutenhaltige und glutenfreie Getreide verarbeitet werden, denn nun können Sie beide Getreidearten in einer Mühle mahlen. THE KITCHEN MILL K-TEC MODEL 91 by Blendtec WHEAT GRAIN FLOUR MILL. Condition is Used and has a little flour residue left in it, but is in great condition. I got this thinking I would grind my own flour, but it's not my thing! It is missing an original filter so we made our own and will include them if you want to use them, or you can order your own. Ever wonder what fresh ground wheat bread tastes like?. You won't have to guess anymore. They'll be able to grind up their own flour and see it used in their favorite recipes. No longer will wheat bread be that brown stuff found in the bread aisle. Now there is a way to easily and securely mount your Country Living Grain Mill to a counter or workbench! This indestructible clamp is made from 1/4″ steel and will mount to any horizontal surface up to 2 3/8″ thick with at least a 1 1/4″ lip. To all U.S. Zip codes. If factory sealed, the item must remain sealed. It's that simple. Kitchenaid All Metal Grain Mill Attachment. Condition is Used. Final sale, non-returnable. Fits the Victorio Grain Mill and makes the work easy. New Grain Mill Motor. This is ONLY the new motor. This will help you make flour quickly and easily. The mill is NEVER been used and all parts are complete. Now there is a way to easily and securely mount your Country Living Grain Mill to a counter or workbench! This indestructible clamp is made from 1/4" steel and will mount to any horizontal surface up to 2&3/8" thick with at least a 1&1/4" lip. New NutriMill Harvest Stone 450 Watts Grain Mill Flour Grinder Silver. Includes FREE Nutrimill Mini & Whole Grain Cookbook. Why mill your own flour, when it's so readily available?. Whole grain flours spoil quickly because the bran has been broken which allows oxygen to reach all parts of the grain. Magic Mill II Flour Mill. Condition is Used. The mill turns on and appears to be in good working order. Includes original box. Shipped with USPS Priority Mail. Please feel free to message me with any questions you may have! This beautiful, clear bin with etched wheat pattern is designed to fit snugly underneath your Country Living Grain Mill hopper. After grinding, simply place the protective lid on the Country Living Bin for perfect storage of your freshly ground flour. Featuring tinned cast iron construction with stone burrs and wood handle. Has large feed hopper. Probably dating from the 1970's, made in Czechoslovakia. Condition is excellent with little sign of use, one minor dent in hopper. Model UM75. Original Porkert Universal Grinder. Has Been Used. Sie erwerben hier eineHand-Mohnmühle / Quetsche. Diese manuelle Quetsche funktioniert ohne Strom und wird nur per Handkurbel bedient mit Kurbelradius 12 cm. Nicht geeignet zum Flocken, nicht verwendbar für Mais und Linsen. A new in box Bosch mixer accessory Grain Mill. It is in new condition and has not been used. From Box: This is for "CONCEPT" universal food mixers MUM7. Grain mill can only be used in conjunction with the Angular Drive MUZ 7 AD1. Nutrimill HS4.3 Grain Mill. This is used but works fine. It doesn’t come with a lid. Manual grand grinder is made of cast iron. It has an attractive appearance, easy to use, and also it is flexible disassembly. The cast iron hand warping machine is small and delicate, and the household is very suitable. Vintage Molino "Corona" Hand Crank Grain Corn Mill Grinder Landers Frary & Clark. Condition is Used. Shipped with USPS Priority Mail. Eschenfelder Hafer Quetsche für Futterhafer Spelzhafer Pferdefutter NEU ! Futterhafer bzw. Spelzhafer frisch gequetscht. Das geht mit dieser Hafer-Quetsche. Hierbei dienen die hinteren Gummifüße als Anschlag an die Tischkante. Es empfiehlt sich hierbei, den Abstand zwischen Quetsche und Gefäß möglichst gering zu halten. Model B-50. It has a powerful electric motor, with stone. It functions normally, and runs very smoothly. When in use, wheat flour will get everywhere, so be prepared. grinding wheels, and it's adjustable to grind your wheat from coarse to fine. With the Peanut Butter Plus Accessory attached to your Country Living Grain Mill, you'll have the best hand-powered nut butter mill on the market. With it's patented system, it processes even the largest peanuts that leave other mills clogged and useless. Adjustable output; from cracked wheat to pastry flour in one pass. High-carbon steel grinding plates. Stainless steel spring auger designed for small grains. A rugged and durable mill, designed to last for generations. In addition toThe Country Living Mill, we also carry the Wonder Junior Hand Mill and the WonderMill Electric Mill. This kit has everything you need just in case a part breaks or gets misplaced. The kit includes. This unit has been tested to be functioning on all settings. Made in Germany, the KoMo Classic uses a 360W brushless motor with direct drive. So fast and easy to use, the KoMo Classic will prepare your fresh flour in just a couple of minutes while you are prepping other things. Alta Qualità, macina ciò che vuoi! macine costruite in ceramica. Qualsiasi tipo di problema riscontri, non esitare a contattarci. This hopper extension is designed especially for those of you with motorized mills. Any flaws are not very noticeable and in no way affect the function of the unit. This unit has been tested to be functioning on all settings. The difference in frequency cycles may cause the motor in a 50 Hz appliance to operate slightly faster when used on 60 Hz electricity, causing stress and wear on the unit. 9G Health Foods is an AUTHORIZED DEALER for The Wonder Junior. The Family Grain Mill is much easier to turn than most hand operated grain mills. Will not grind as fast as an impact chamber mill such as the Nutrimill, or quite as fine of a flour though still fine enough for bread, but is much more versatile, as you can grind anywhere from cracking grains to flour with the turn of a knob. Wonder Mill Grain Mill. Owners manual included. Very clean and in perfect working condition. Small scratches which is normal for its age but overall very very nice. Everything you need plug in and use it. While there is still power, motorize! The motorization kit includes 1" solid alder baseboard, motor with pulley, belt and belt guard, and miscellaneous hardware (washers, screws, Allen wrench). Grain mill not included.